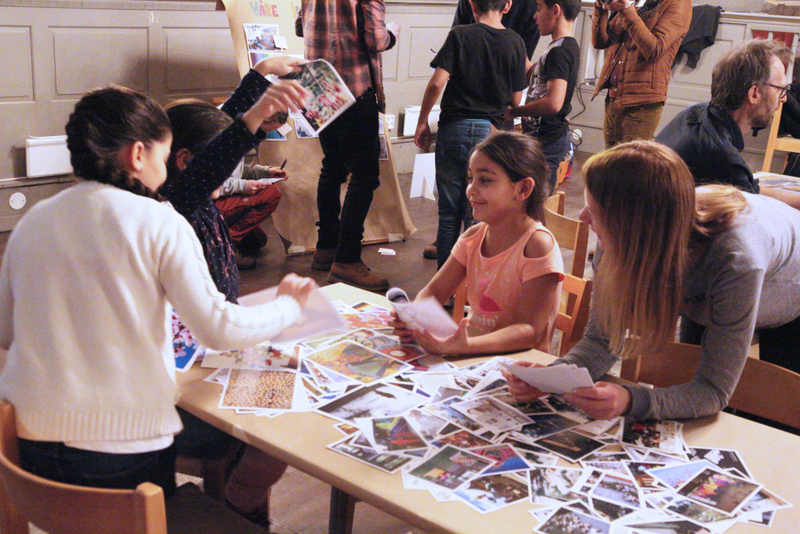 weekly art workshops with kids living in asylum centers in Norway. 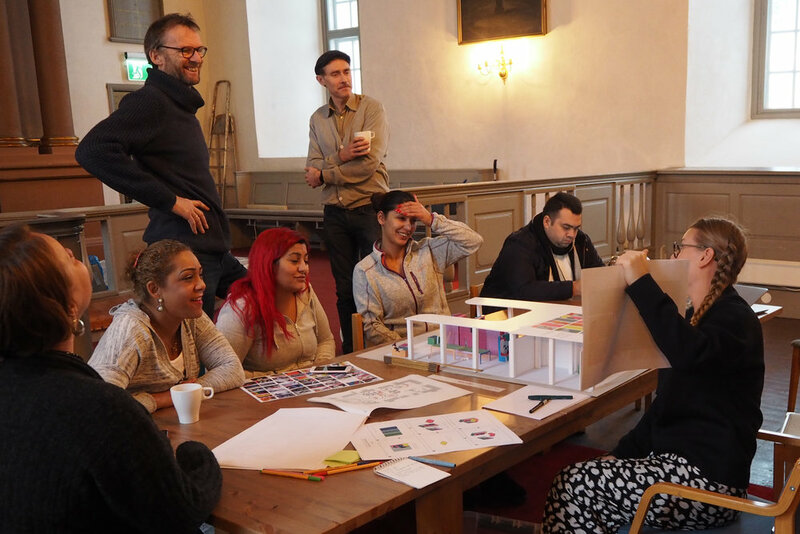 In collaboration with Åpent Verksted, we have since 2016 run weekly art workshops in different asylum centers: Torshov, Dikemark, Ila, Hobøl and Stord. The project is mainly funded by the Norwegian Directorate of Immigration (UDI) - and run by volunteers. We started by mapping the needs and wishes of the target group. Further on we translated their ideas into a concept - that ended up being several modules on wheels, so the space could be arranged differently to the various use of the room. We hired a team of six Norwegian rom to build the interior with us - Emram, Kalle, Giovanni, Serafin, Kevin and Cerfin. They were not trained builders, and the skill level varied. Some had done work similar to this before, others had never used a paint brush even. In our building processes, we facilitate the design so that un schooled people can join. We believe this is the key to create ownership to the project - and it also results with empowerment, increased self esteem and proudness. We also opened up the building process for anyone who wanted to could help out. A lot of rom kids helped out plus volunteers from our organisation.